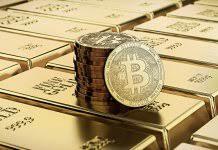 Home / News / What Do Gold Experts Think About Bitcoin? 2017 is nearly over, and it’s safe to say that one of the biggest stories in the gold space this year has been cryptocurrencies. While the gold price has struggled to stay above $1,300 per ounce, the price of bitcoin, the most popular cryptocurrency, has soared, rapidly reaching new record highs.